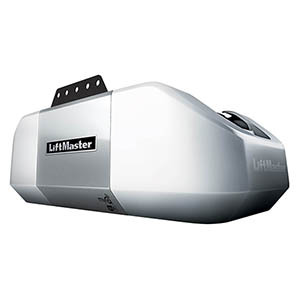 Belt Drive Garage Door Opener | Denver Experts | Affordable Door Co.
Quiet and smooth, yet as tough as a steel-belted tire, the 8355 1/2 HP AC Belt Drive Garage Door Opener is the perfect choice if you want both quiet and smooth-running reliability, or simply have rooms positioned above your garage. The 1/2 HP heavy-duty motor is equipped with our patented Motor Vibration Isolation System (MVIS®) that eliminates powerhead vibration for reduced noise. Its energy-efficient operation consumes up to 75% less power in standby mode. DC Motor provides virtually silent operation with superior durability. Secure Code. Confidently know that every click sends a secure code to the garage door opener. Virtually Impenetrable. Make the garage virtually impenetrable by adding the Automatic Garage Door Lock. Safety Sensors. Protect people and vehicles with safety sensors that stop the door from closing on obstructions. Automatically Protect. 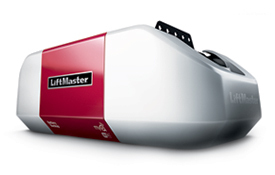 Automatically protect against forced openings of the garage door.